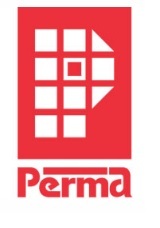 Perma Inject Hydrogel is a polyurethane injection grouting system. It is a single component. product this product reacts with water to form tough flexible polyure thane foam or an elastomeric gel depending upon the amount of water used in, reaction. This product can be injected into the concrete of RCC structures. using two components pump where resin is one component and the other component is water. Perma Inject Hydrogel is used in areas of heavy leakages. expansion joint filling, cavity filling in structural' concrete, and for creating screens.